The narrator declares that he hates the moon and what it brings with its weird lighting. He then describes a beautiful landscape of garden, woods and ocean that he regularly enjoys during the summer but that has been entirely changed when the moon comes out. What was once magical and alluring turns decrepit and ugly. In particular, as he watches the ocean take the tide out he sees increasingly uglier things, until the rescinding sea begins to reveal a city of the dead with horrible and evil things that are enough to drive him mad. He promptly sticks his head into the water and drowns himself, letting the worms feast on his corpse. 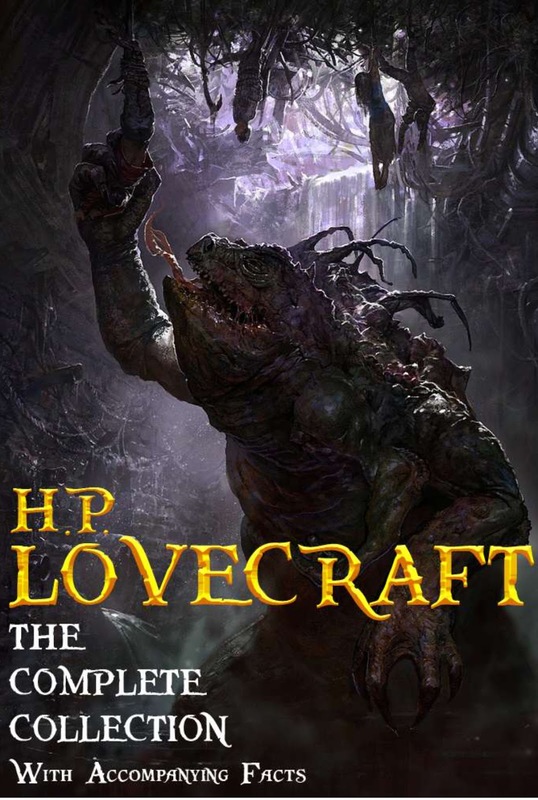 Another rather short story of Lovecraft, this one seems to go to bad real quick. The beginning reminded me of Jack London's "Moon-Face" in some ways--just in the way the character seems to have an indescribable hatred of the moon and goes into describing such a beautiful landscape. That the moon reveals the city of the dead was a great feature, but then the narrator's prompt suicide feels like a bit of a dodge by Lovecraft. The end comes in a few short sentences without the typically mad-descent that I've come to enjoy by Lovecraft.